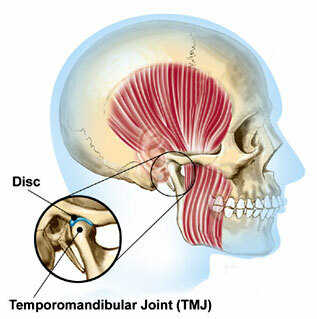 TMJ is the abbreviation for the temporomandibular joint syndrome or dysfunction. These joints connect the lower jaw to the skull and allow the jaw to move. When the teeth, facial muscles, and temporomandibular joints are out of alignment, the symptoms arise of TMJ/TMD (temporomandibular joint syndrome or dysfunction). An estimated 10 million Americans suffer from head, jaw or neck pain associated with jaw disorders. Dr. Snider has had great success treating jaw disorders, more commonly known as TMJ without using surgery or invasive methods. 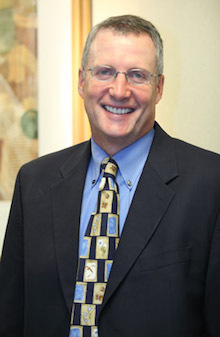 In addition to his training as a general and cosmetic dentist, Dr. Snider also has experience treating bruxism, more commonly known as grinding of the teeth. Come and see Dr. Snider for a no-charge consultation. Sore jaw muscles and joints, especially right after waking up in the morning. Tooth edges that are worn down. Tooth sensitivity to cold temperatures or tooth brushing. Loose or broken teeth, crowns or bridges for no obvious reason. A generalized feeling of tooth pain. Locking jaw or difficulty moving the jaw or biting. Clicking, cracking or popping noises in the jaw. 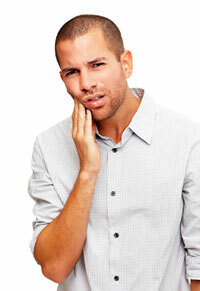 How is bruxism or teeth grinding related to TMJ? The misaligned TMJ joints cause muscles and nerves to be over stimulated, which results in the above symptoms. In many patients, the overworked facial muscles cause teeth grinding, a condition known clinically as bruxism. Grinding your teeth can lead to significant tooth wear and further bite problems. Dr. Snider has successfully treated many patients with TMJ problems. Dr. Snider offers non-surgical therapy for TMJ using custom mouthguards that reposition the jaw joints and eliminate grinding of the teeth. Wearing the mouthguard can, in some cases, retrain muscles to hold the jaw in proper position. Other patients must wear the appliance indefinitely at nighttime. Invisalign or traditional braces can be used to correct crowded and misaligned teeth. Alternative treatments include stress-relief exercises and physical therapy, a change in oral habits (chewing gum, ice, biting nails, etc. ), and in extreme cases, surgery may be required. If your TMJ doesn’t respond to conservative therapy, Dr. Snider will refer you to a TMJ specialist for further tests.